It’s a little over 11:00 p.m. in Budapest and I went to bed more than 3 hours ago. It wasn’t until I realized that I was keeping myself entertained by rhythmically grinding my teeth together that I admitted defeat and got out of bed. We definitely didn’t plan to cram for the entire night on the night before the exam, but things don’t really work out according to your plans here. We slept for about two hours, waking around 8:00 a.m., and used the rest of the morning before the exam doing some practice tests. The tram wasn’t working as it normally does and the platform was beginning to fill up with more and more curious city-travelers. Normally the tram comes every 5 (if not 2 or 3) minutes, but today, it just wasn’t coming. When one finally did come, it didn’t even stop. It just inched by slowly, like a sulking child, and continued on down the line. At that point, I was getting a little too stressed out to wait much longer. We weren’t too pressed for time, but we definitely didn’t need any public transportation stalls to prevent us from getting to the exam on time. I hesitated when Skjalg suggested that we get a cab. The number one piece of advice I’ve gotten from previous students is, hands-down, to not take a cab from the street – unless you want to be swindled. Always, always, always call first! Regardless, we soon found ourselves inside a cab stealthily navigating its way to the university through the side streets of the city. The ride was surprisingly smooth, swindle-free, and the driver spoke a decent level of English – not bad for my first cab rid here. 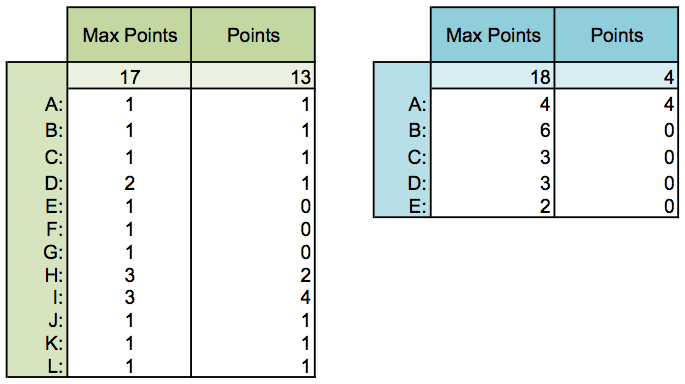 20 multiple choice questions – about various tests, statistical parameters, probabilities, etc. Afterwards we waited for a little over an hour for the exams to be graded and to get our index books back. I don’t think I’ve written anything about the index books yet…they are small black grade books that contain all the signatures and grades for our classes. At the beginning of each exam we deliver it to the examiners and then we receive it once our grades have been noted inside. Very, very old school. The examiners finally emerged and began to call out names of different students. I got mine before Skjalg and immediately looked inside. It took a second to figure out which of the signatures it was (everything in our index book is in Hungarian) but then I found it: a 3. I was happy – of course – I mean, I’d passed! But there was a bit of uneasiness about it because I’d thought that I’d done a lot better. Skjalg also got a 3 and, when he confirmed that he felt the same way that I did, we decided to stay back and ask to see our exams. The exams are done in excel and graded by a computer program, so there is a possibility that it made a mistake (or four). My statistics professor was the one to go over our exams with us. He opened the test and we saw almost immediately that things didn’t look right. We spent about 10-15 minutes going through my calculations and finding my missing points. In the first test, the grading program had penalized me for not calculating a value that I wasn’t supposed to calculate for the test I chose and then awarded me more points in one part and less in another. In the second test, I got full points for choosing the right test, but then 0 points for all my calculations! My professor was openly about his irritation with the program and mumbled frustrated comments under his breath. (I got the impression that he is against using a computer program to grade the exams.) In the end, we found that my exam was missing a total of 18 points, bringing my grade up from a 3 to a 4. Well worth the extra time going over it! And I wasn’t the only one – there were about 4 other people (including Skjalg) that were missing points on their exams. It frustrates me to think of all the exams that were most likely graded incorrectly. There were only 5 of us that stayed back and checked our exams – out of 70 total – and all of us had something wrong with them. I’m not sure if there is anything I can do about it…other than recommending to others that they check their exams. My professor was clearly not a fan, so maybe a change is in the works already. So now it is only physics and then I am done! After that I will have two/three days before my mama arrives (love you mama!!). I haven’t seen her in over a year and am looking SO forward to spending some quality time with her. § 2 Responses to Biostatistics and Informatics: Check! Hope you were able to rest! 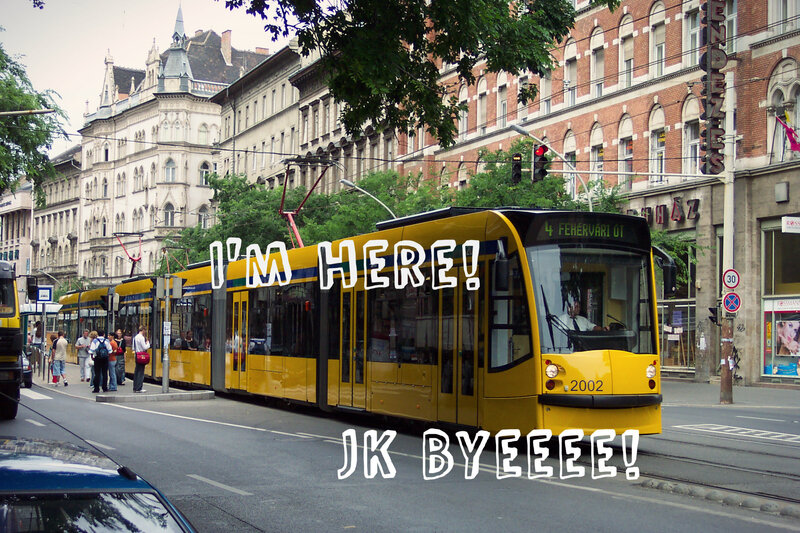 Hilarious tram caption! Do you know what the problem was? I couldn’t figure it out. It didn’t look like there was anything wrong with the tracks, but the tram that passed us was completely empty. Everyone looked really confused and a lot of them started walking to the next stop. You are currently reading Biostatistics and Informatics: Check! at Buda-B.